Many people consider the atmosphere at a college football game to be one of the most enjoyable sports experiences of a lifetime. 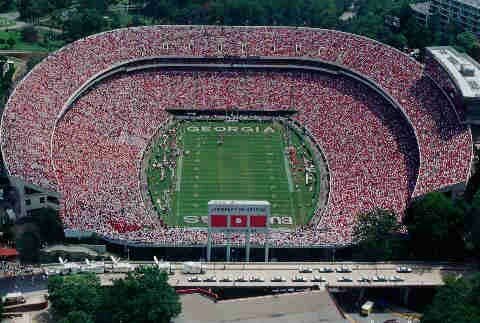 At SeatsForEveryone.com we have great tickets available to all NCAAF games. Nothing beats the roar of the crowd, the crazy student cheering sections, the tailgates, and the memories that will last a lifetime. 100% Guarantee on ALL Sales! Do yourself a favor and browse the great selection of tickets we have below to grab those tickets to the game and stadium you always wanted to attend.